People often ask me what I’d be if I wasn’t a psychiatrist. 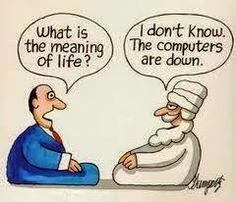 Unabashedly, I tell them that I’d probably be a Zen monk. There’s something about Zen monkhood that draws me, and that “something” is this: It’s the call to live life fully and mindfully in the present moment. It's the call to surrender and lose oneself in the here and now. At this point in my life, with all the worldly attachments that I still choose to cling on to, becoming a Zen monk has become mere aspiration. 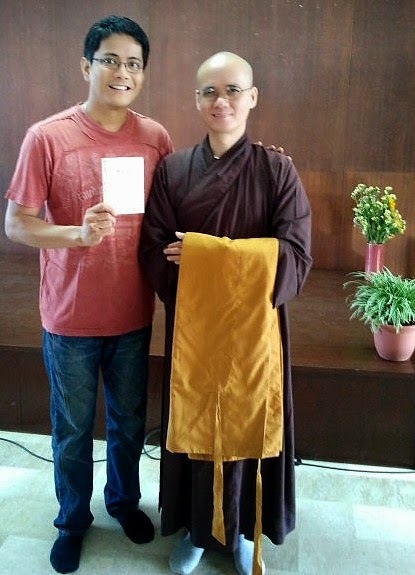 This retreat was conducted by the monks and nuns of Plum Village, Hongkong. 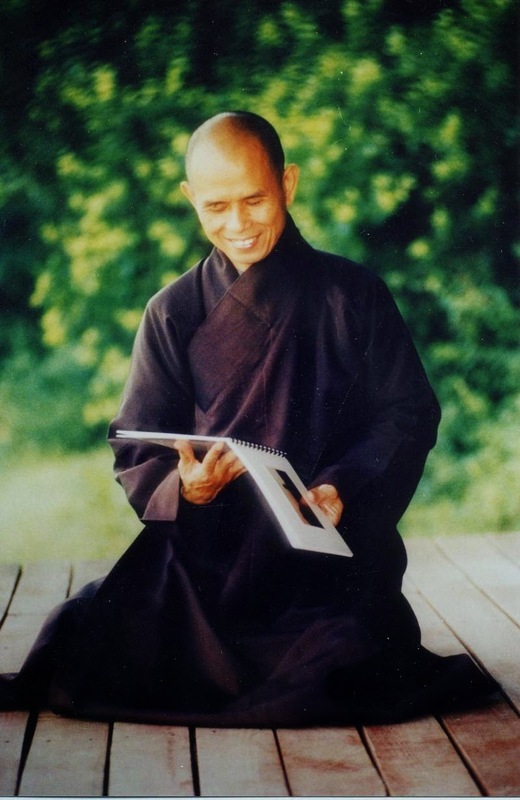 The original Plum Village is a Zen community in France, established by the peace advocate and Zen Master Thich Naht Hahn. Held in Tagaytay, this 4-day Mindfulness Retreat was a refreshing respite from the frenetic, chaotic hustle and bustle of my daily life. In this retreat, we did sitting meditation, walking meditation, and the mindful eating of vegetarian food. It was through these activities that we kept our body and mind still. After undergoing the 4-day retreat, this is what I've experienced Zen to be: Zen is the silent stillness which you can come home to, and in that stillness, you can just breathe and simply be. 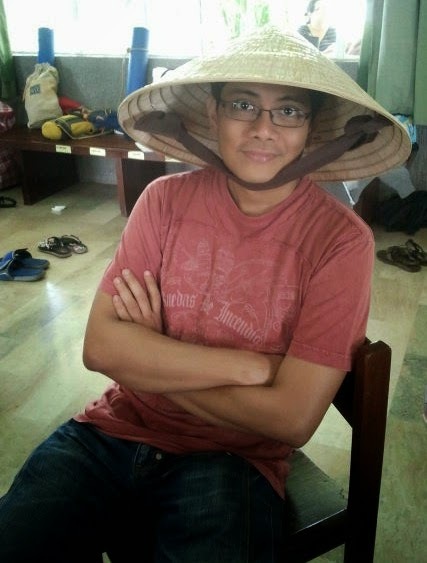 I hope Brother Thich Phap Kham didn't freak out searching for his 'non la' (Vietnamese headgear). I just had to seize the chance to feel like an authentic Zen monk- if not for a lifetime, at least for a selfie! Next retreat? 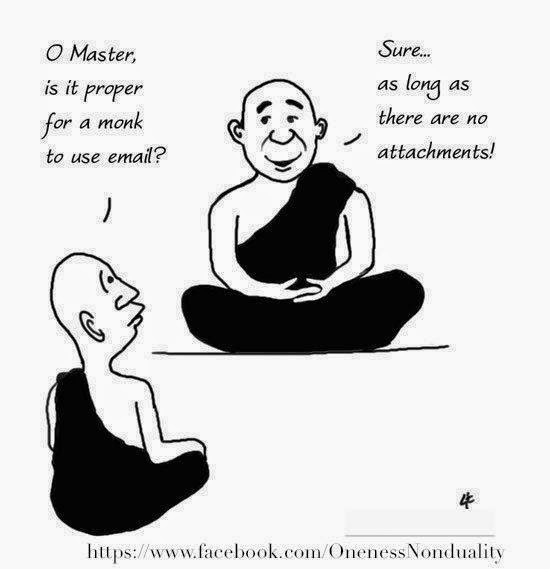 It'll be a selfie wearing his brown monastic robe! 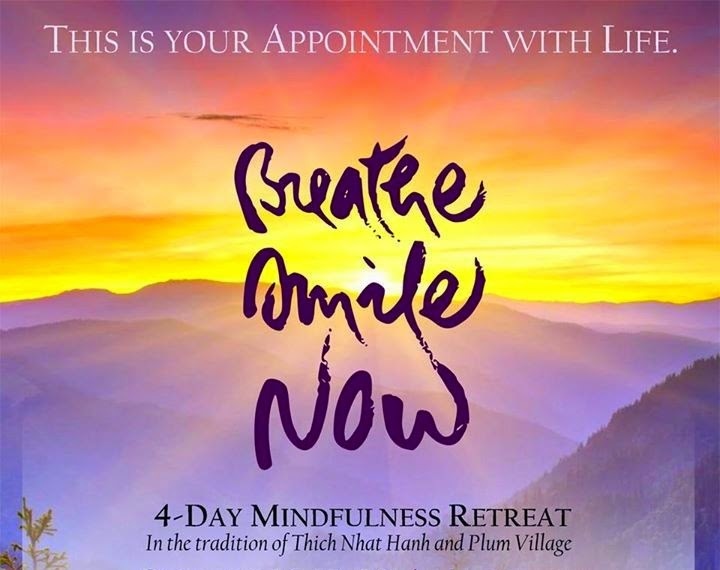 Plum Village Philippines warmly invites you to join us for a Day of Mindfulness at the Titus Brandsma Center in Quezon City, starting February 2015. We offer you relaxed Sundays of sitting and walking meditation, mindful picnics, chi-gong exercises, sharing with the community of mindfulness practitioners in the tradition of Zen Master Thich Nhat Hanh and Plum Village in the Philippines, organized by the Boat of Compassion Sangha in partnership with the Institute of Spirituality in Asia. The Days of Mindfulness are Sundays, 9AM-3PM. *Please do not bring in firearms/weapons, alcoholic drinks, and illegal substances. Smoking is not allowed during the events. It's great that I have stumbled upon this blog. 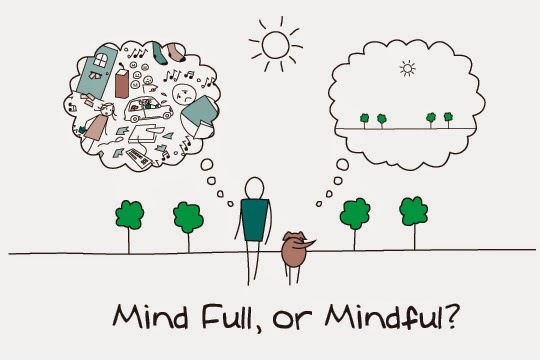 Do you do Mindfulness training?